Bats need to eat a lot to power long flights. 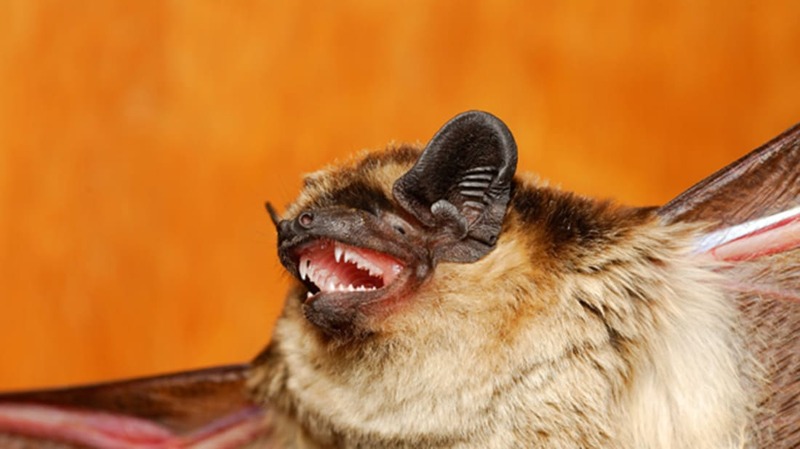 One species, the Japanese pipistrelle bat, eats enough insects in a single night to increase its weight by 20 percent. So when they go out hunting, they need to eat as much as they possibly can. A new study in the journal PNAS shows how they can be so efficient: They plan ahead. Echolocating bats take into account where their next prey is before they even capture their current target, the study finds. A group of Japanese researchers surveyed almost 800 bat-on-insect attacks over the course of six days, reconstructing the direction in which the bats emitted sonar beams from a microphone system. They then analyzed 70 of those attacks located along 35 flight paths to see how bats coordinated back-to-back attacks. The researchers also used mathematical modeling to determine which flight paths made it most likely for a bat to catch its prey, finding that a bat flying a route that took into account both the position of its first prey target and its second was more likely to catch them both. The bats began figuring out how to get to their next meal before they even reached the first one, the study found. “When the bats consecutively captured two prey items within short time intervals, sonar attention directed not only toward the immediate prey but also to the next prey before capturing the immediate one,” the researchers write. As they approached their first prey, they were already directing sonar pulses toward their second target to minimize the amount of time spent between the two targets. In fact, “bats might select their flight paths to keep both prey items within their sonar beam,” they suggest.